A replacement for my stolen Long Haul Trucker. Purchased in April, hit by a car in July. Repaired and reserved for off road riding and touring. This is a stock Surly Disc Trucker 54 cm, with 26" wheels. The only custom part is the Soma Junebug off-road drop handlebar. 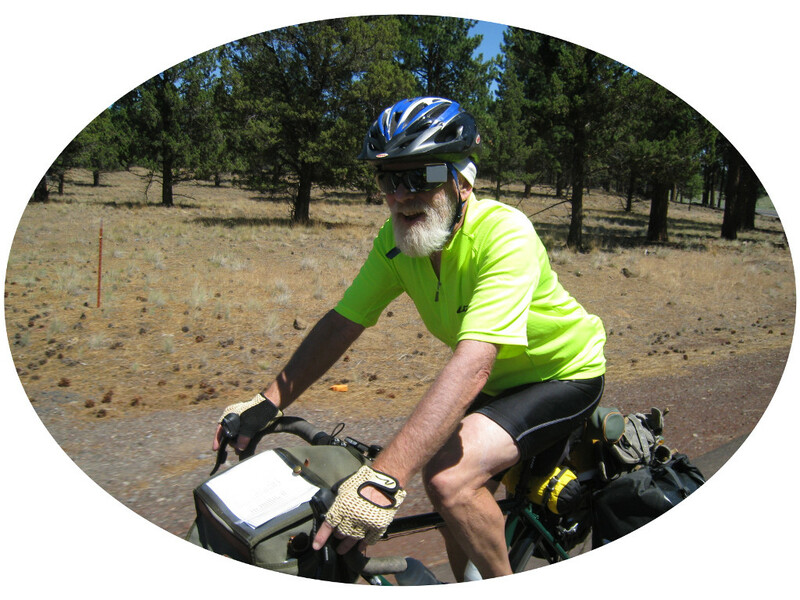 In this picture I'm using a Revelate Designs Harness in the front and my Arkel XM-45 panniers in the rear. 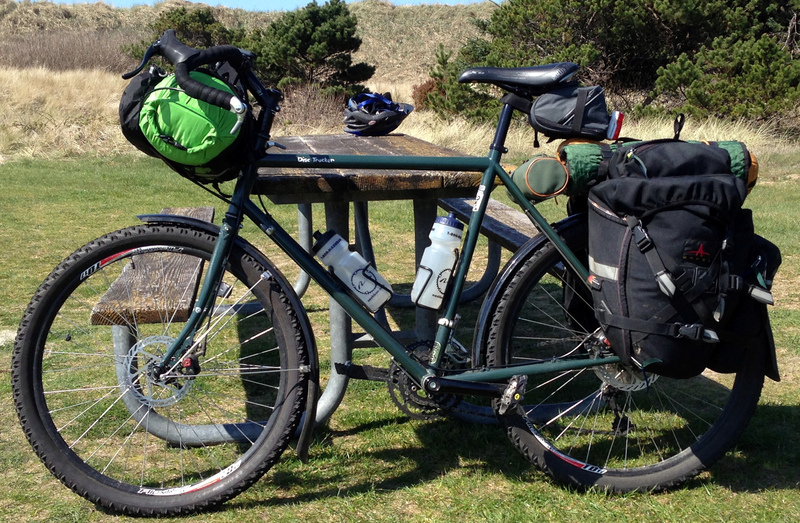 I rode this bike, in this configuration, from Corvallis to the coast twice in 2014. The first ride in March was mostly on paved roads with just a short section of gravel. The second ride in September was mostly gravel. Sold March 2017 to Tony Goodman in Dunedin, New Zealand. Pre tour service. I had replaced the brake pads recently but they were the metalic pads, so I opted to replace them again with ceramic.